Home / News / Britain's oldest protester has won a court battle to have his name removed from a police "extremism" database after he was added despite never committing a crime. 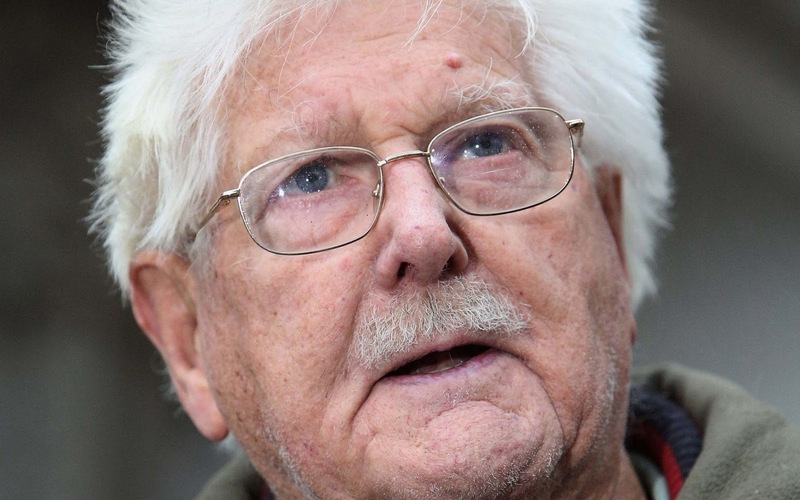 Britain's oldest protester has won a court battle to have his name removed from a police "extremism" database after he was added despite never committing a crime. John Catt, 94, a peace and human rights campaigner, was mentioned in 66 entries in the National Domestic Extremism Database after he took part in demonstrations between 2005 and 2009. Details included what he was wearing at particular rallies and the fact he was making sketches of the protests. Mr Catt, from Brighton, has been fighting the decision to retain his details on the database, even though he was never convicted of any offences, for the past eight years. He first took legal action in 2010 when the Association of Chief Police Officers (ACPO) refused to permanently delete information about him in the database, which is maintained by the National Public Order Intelligence Unit. The Court of Appeal ruled in his favour in March 2013 but police chiefs successfully challenged the decision at the Supreme Court. Mr Catt's legal battle with police came to an end today after the European Court of Human Rights overturned the Supreme Court's decision and ruled that his Article 8 right to privacy had been violated. His lawyer Shamik Dutta tweeted: "This ruling sets an important precedent that it is unlawful for governments across Europe to label citizens engaged in peaceful protest domestic extremists and put them on a database for a potentially indefinite period." Mr Catt has been attending public demonstrations since 1948 and began participating in protests organised by Smash EDO in 2005. The group's objective was to close down the activities of EDO MBM Technology Ltd, an American-owned company which manufactured weapons and weapon components and had a factory in Brighton. Mr Catt was arrested twice for obstructing a public highway at two demonstrations organised by Smash EDO but was never convicted of any offence. He also participated in rallies at the Labour Party Conference in Bournemouth in 2007 and a pro-Gaza demonstration in Brighton in 2009.